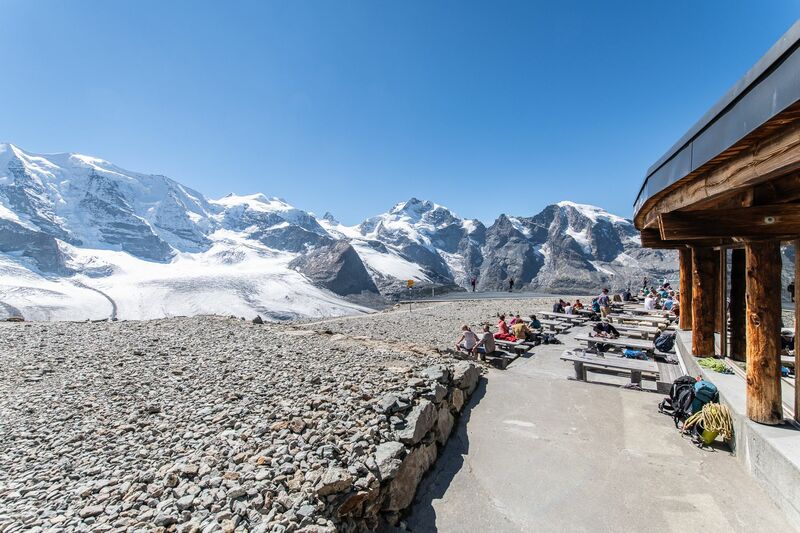 Have you ever wanted to spend the night at the highest levels: Admire a sunrise and sunset at 10'000 ft. in the middle of a breathtaking glacier scenery. 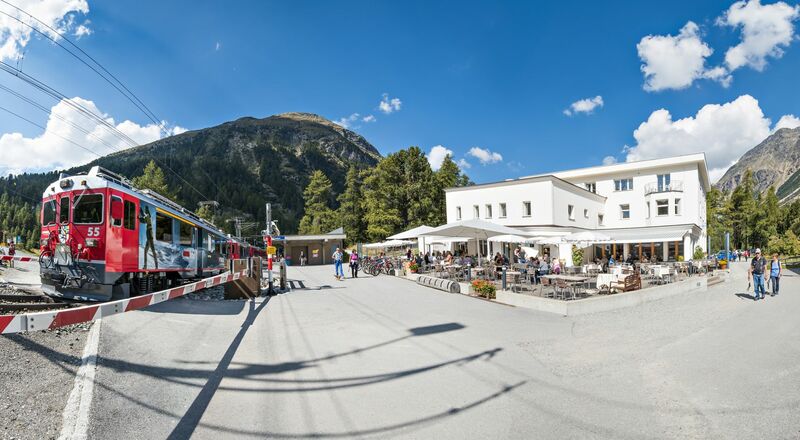 If you want to you can soak up the calmness of the mountains from the highest Jacuzzi in Europe and doze off watching the peaks, before a bed in a double or four-person room or in the group accommodation facilities calls you to a night under the stars (the group accommodations are on STC). 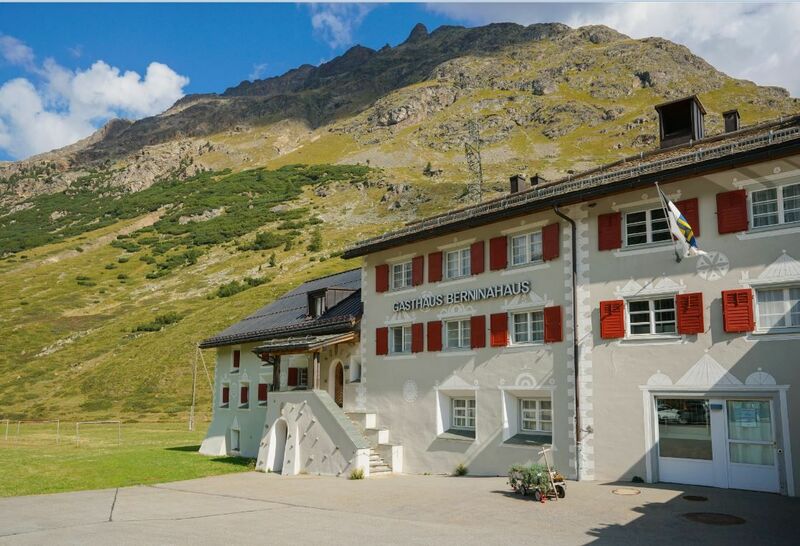 The typical Engadine house, located on the Berninapass, offers a cosy, informal atmosphere with the possibility to stay overnight in 1, 2, 4-bed-room with shower. 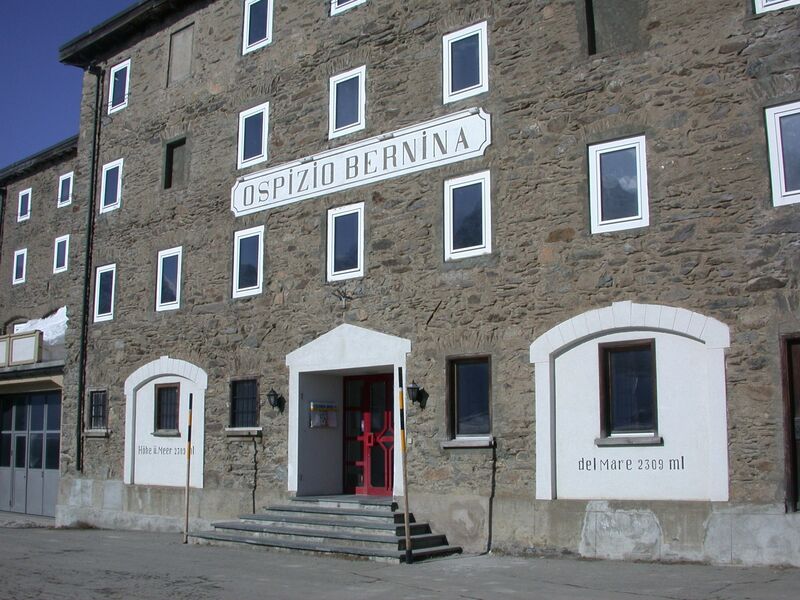 The hotel "Berninahaus" was completely rebuilt in summer 2003 and we are pride to offer you a very beautiful old house in good conditions. We coddle you with a wonderful restaurant-room and an excellent and plentiful kitchen. It is an ideal point of departure for hikers and skiers. 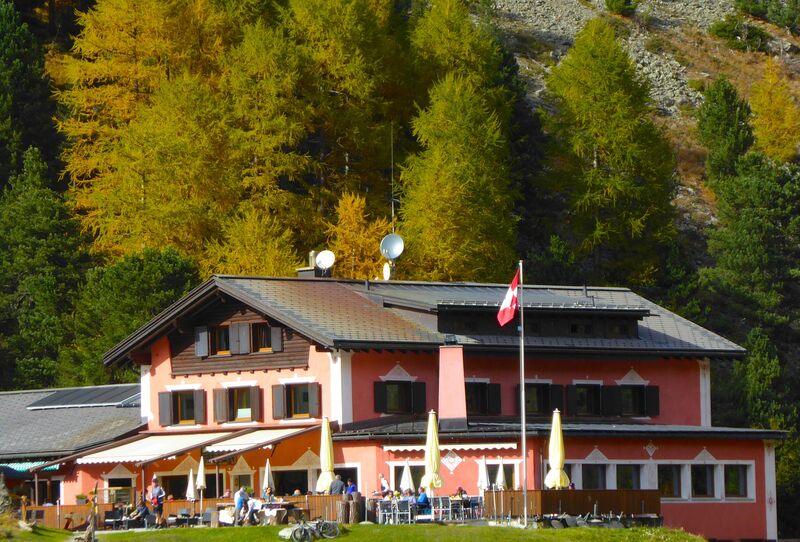 Distance from Pontresina 7 km, nearby the Lagalb and Diavolezza cablecar.